Want to sell fast? Who doesn't? It's not like homeowners want to sit forever on the market just waiting for the perfect offer or, better yet, an overpriced offer to come along. However, in this tough market, it does take some knowledge, education, and tactics to get the right buyers in the door and the right offers on the table for a fast sale. 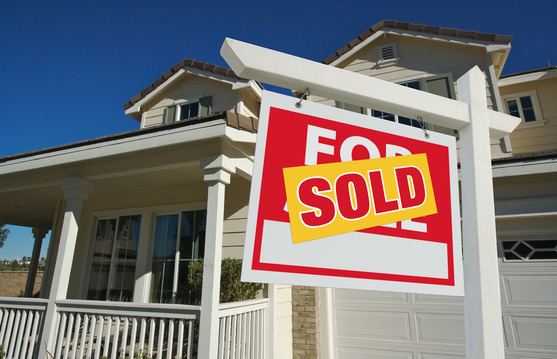 Here are some tricks of the trade if you're considering selling your home in the Barrington, Schaumburg or Roselle Illinois area. While it's not always a good idea to overprice your home, it is a good idea to add a little bit of a buffer. This means that if you know you want to get about $500,000 for your home you should list your home at about $510,000 or $515,000. Buyers know that you might be able to come down a little bit and if there's enough of the demand you might actually get the higher priced within the first week or two. However, this is not the only tactic to get the price you want, it is only one of many pieces of the home selling puzzle. You always want to appeal to a wide variety of buyers and by pricing it correctly you're going to get the right buyer through the door that's looking in that price range. The key is to offer more than your closest competition for a little less. Let's say there's a home down the street that is very similar to yours but perhaps you have an extra bathroom or a little bit more square footage. Make sure you emphasize how much more the buyer would beginning for a little less price. Perhaps the house down the street is priced at $520,000 when you are priced at $510,000. Buyers see a little bit more value in your home that's priceless but gives them more. This brings me to your competition. If you don't know your competition how can you compete? Make sure you understand what else is on the market and the other homes that buyers are viewing. By touring open houses, checking out the images and pictures online of homes in similar price ranges and understanding the market can put you light years ahead of your competition. Simply offering something that your competition is not offering, as we said previously, can work wonders to getting a better offer. Now, while not everyone can pay hundreds of dollars to have their home professionally staged, you can't take tips and suggestions on either a low-cost consultation or by browsing model showrooms. This is usually the best and least expensive way to get a great idea of what today's modern buyers are looking for. Arm yourself with your camera and a notepad and visit a lot of brand-new homes that might have a model showroom on site. If you feel more comfortable you can certainly visit any of these model homes with me, your listing agent, taking tips, tricks and information on colors, layout, format and design. Pay close attention to decorations, wall art, kitchen layout and floor plan. Sometimes less is more so make sure that you remove a lot of the items that are simply taking up space and clutter. Those online photos of your home will be most home buyers first impressions. If you can, it's best to get professional photos. Speak to your real estate agent about professional photos when it comes to listing and marketing your Barrington home. You should also apply importance to showings, and ensure that each showing request is promptly responded to with an easy "yes." If you put these tactics into your home selling plan, you will find that it will be much easier to obtain more interest from buyers. And with more interest, it will be much more likely that you will be able to obtain the price you want for your home. So don't underestimate the importance of these factors, and discuss them today with your trusted Barrington IL real estate professional. For more helpful tips and info about the purchase or sale of your South Barrington, Barrington, Schaumburg, and Chicago NorthWest Suburbs Home, Contact "Stevie D." at anytime ... Direct # (630) 479-9479. For All of Your Real Estate Needs ~ Call “Stevie D."